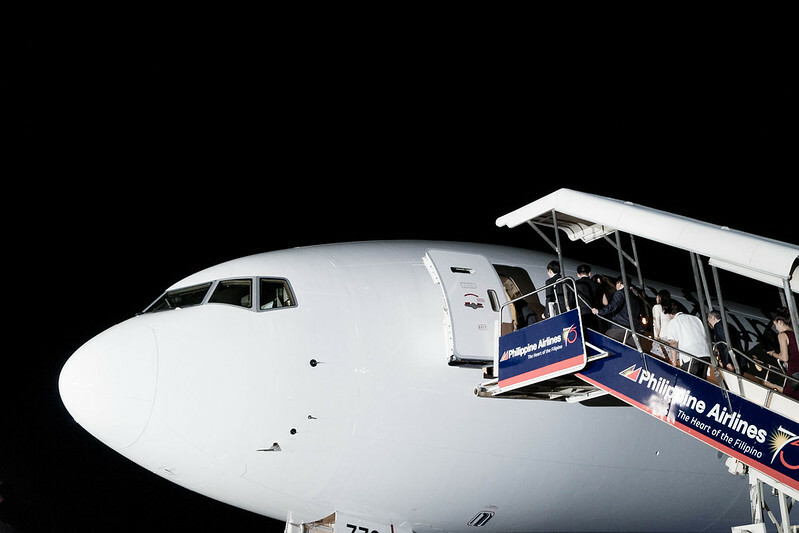 PAL adds new B777s to its fleet, increases flights to North AMerica. 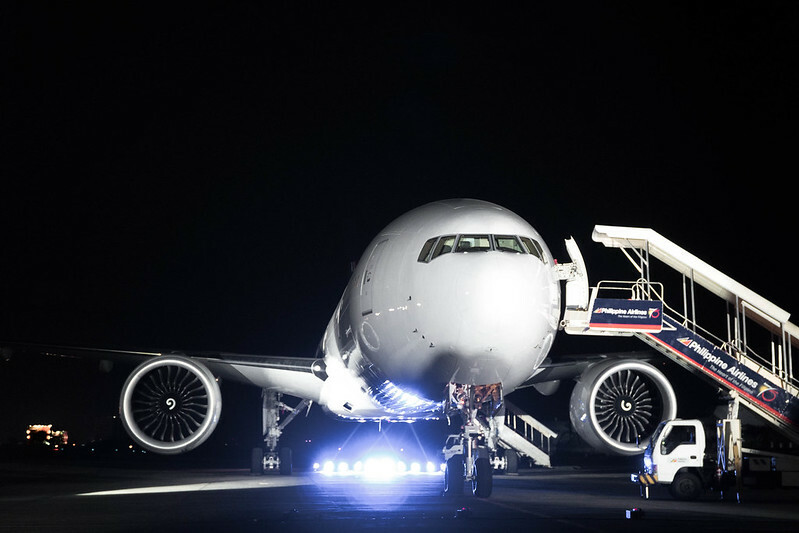 One of the first steps PAL is taking towards becoming a 5-star, full service national carrier of the Philippines is acquiring new Boeing 777's. One of the coolest airplanes, I've ever been in! We got to explore it during the recent launch at Villamor Airbase last November 8, 2016. 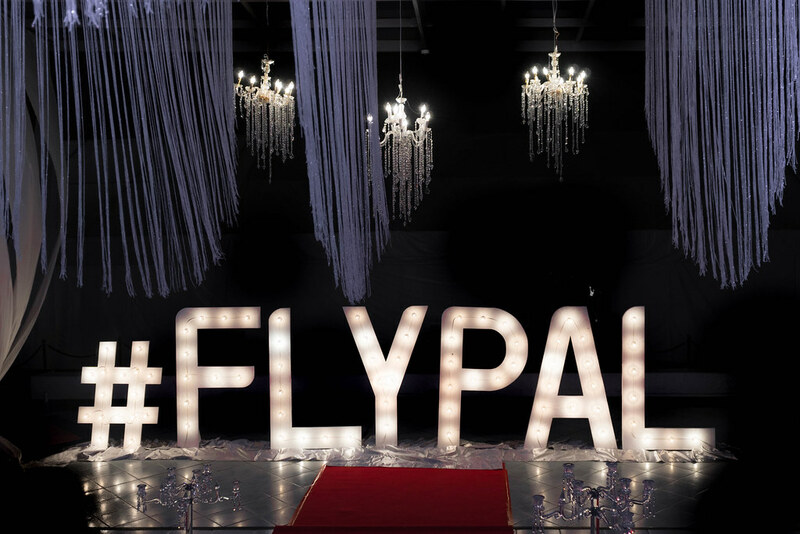 Here's some pics from inside the new plane + perks that travellers can expect from flying with PAL. 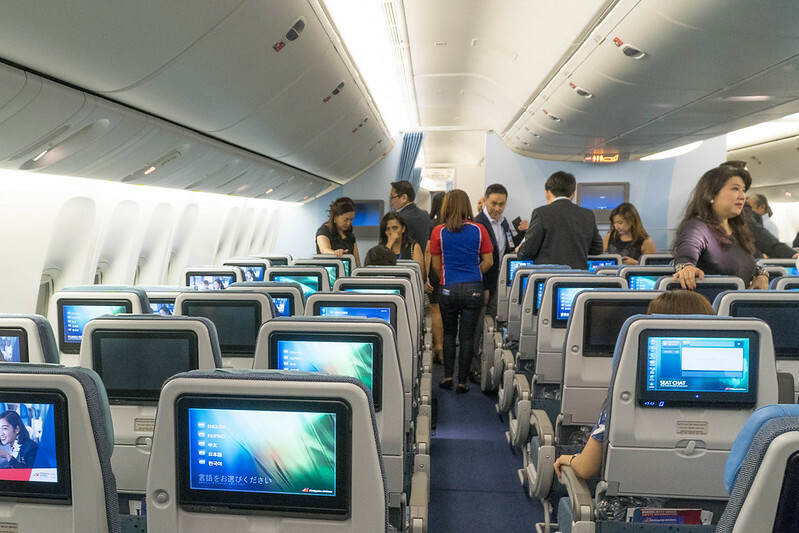 "With additional seats come additional capacity, which now enables PAL to increase frequencies on its transpacific flights to the US Mainland and Canada. 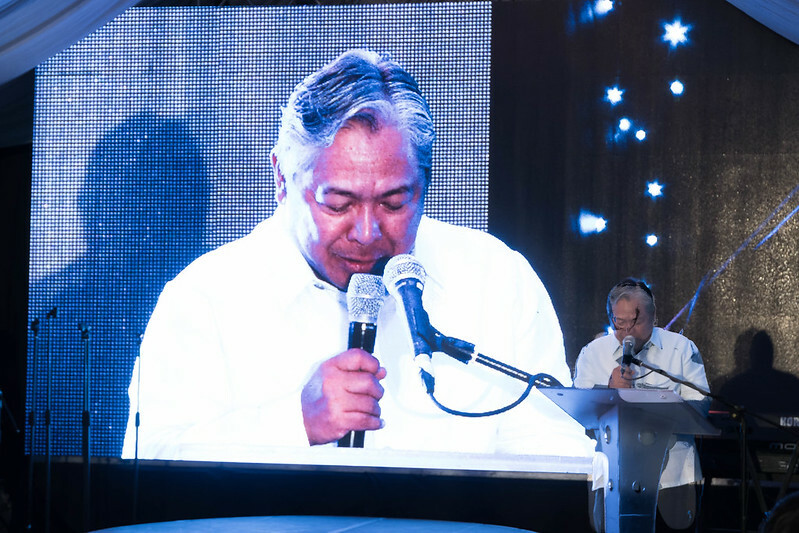 Our passengers can now choose from a wider variety of schedules and at the same time, experience service with the heart of the FIlipino." 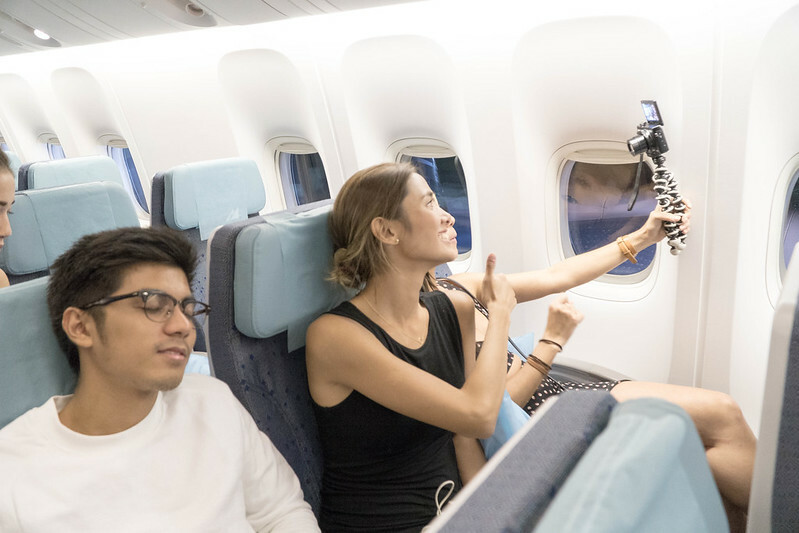 Double daily flights between Manila and Los Angeles which means you can now choose an evening or morning flight! Clean, crisp and modern looking interiors designed by Tokyo's LIFT Strategic Design Studio to represent our country's coastlines. 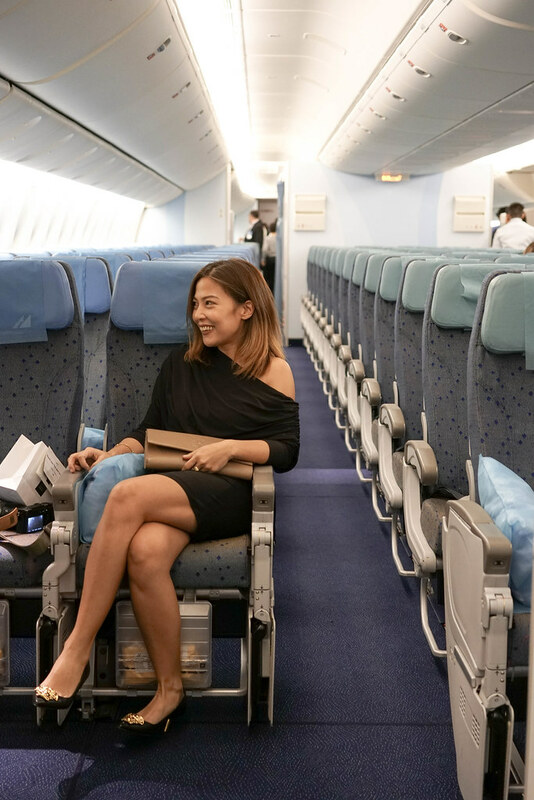 The print used on the floor's carpet and chairs are also patterned after the "banig" which is in line with PAL's "Heart of the Filipino" branding. It doesn't just feel more premium, IT IS PREMIUM. MORE LEG ROOM! BETTER, WIDER SEATS! ON-BOARD WIFI! 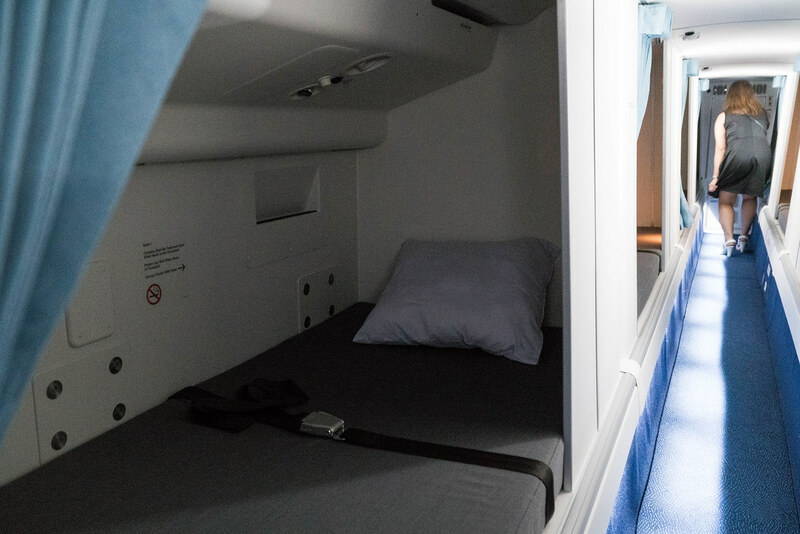 The chairs in the business class section of the plane are fully reclinable so even a grown man can lie down comfortably. It also features a wider monitor + an ottoman that can also be used for within reach storage! ECONOMY WASN'T LEFT BEHIND EITHER! 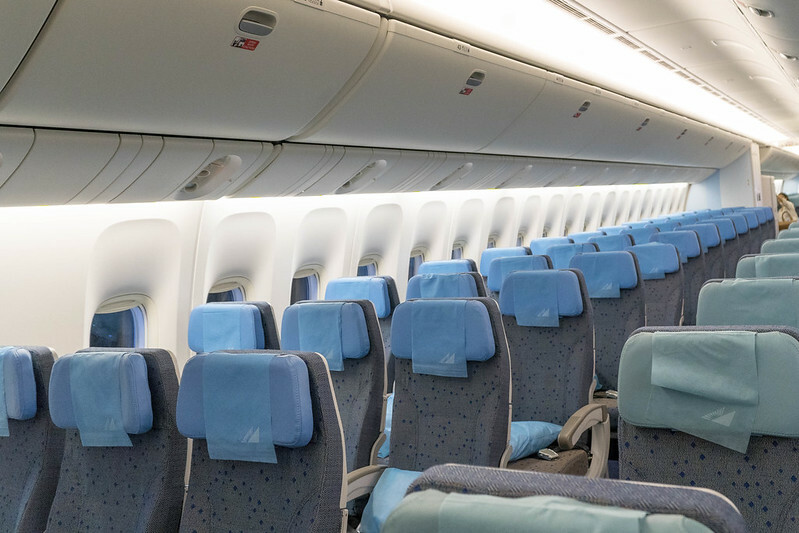 The new B777 Economy Class Seats are bigger and wider by a full inch! Leg room is super generous, more than enough for a petite person like me and just right for a tall man not to feel too cramped. 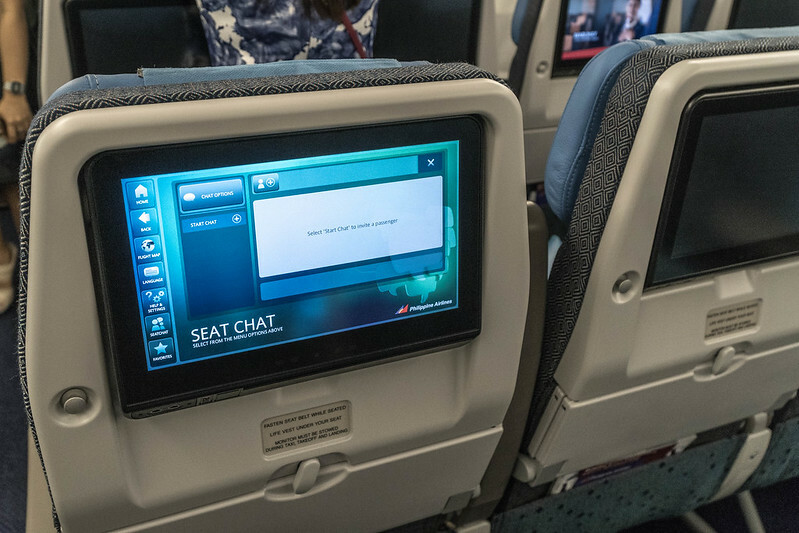 Chairs are reclinable by 4"inches and the monitors have also been upgraded with touchscreen and SEAT CHAT making it possible for us to converse with our friends even if they're seated several aisles away from us! 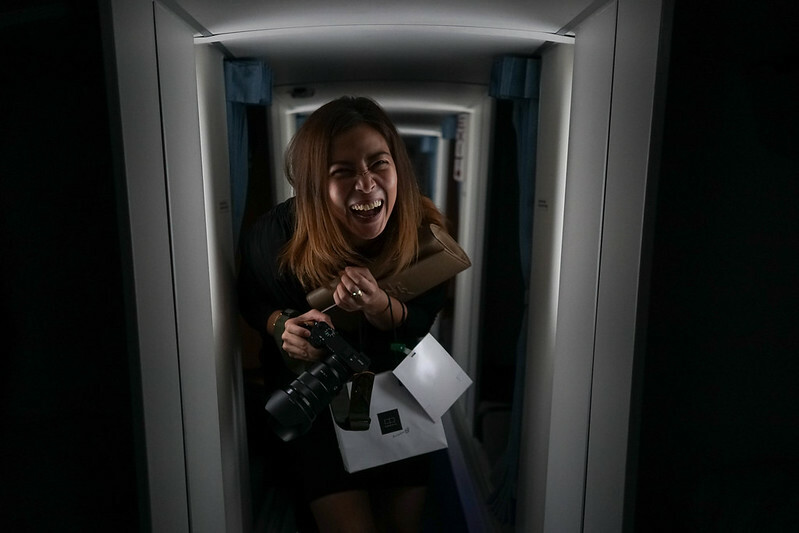 A big plus especially during boring, long-haul flights. 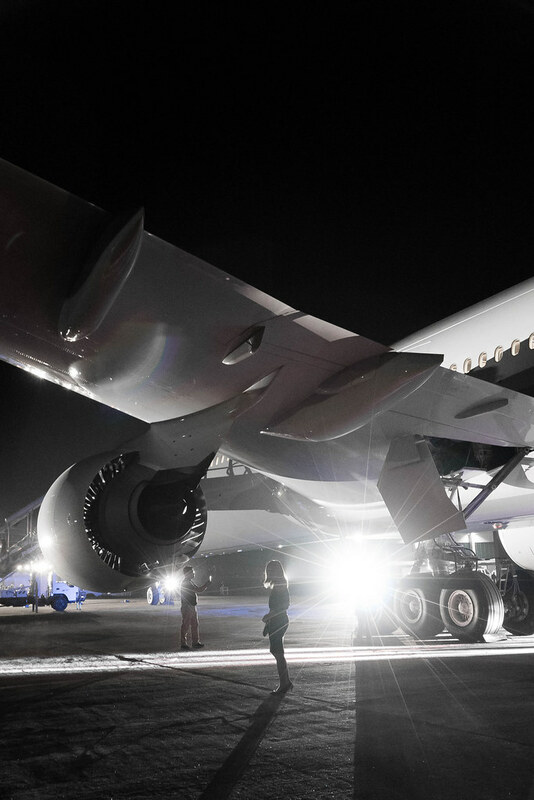 In case you aren't familiar with plane models (like me), the Boeing 777 is the largest long range twin engine commercial airplane in the world! Being in their feels like you're in a space shuttle. It's still cramped but man, that's a lot of personal space to have on an airplane! I never really cared what kind of plane I was flying in before but after being able to get up close and personal with a Boeing 777, that has so changed. It's majestic and feels extra "safe". Like I can imagine it being more stable? Like a luxury car vs a compact sedan, if you get my drift? The whole experience was just super super awesome, like a Kanye music video! 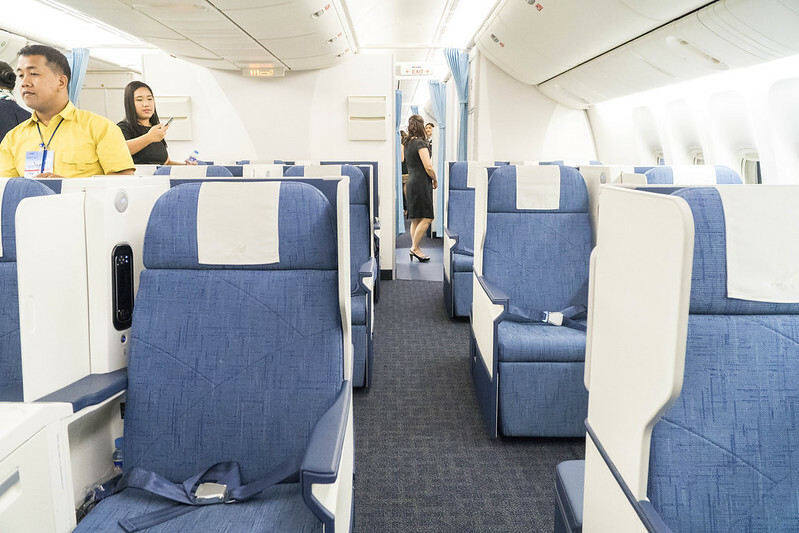 So if you're flying soon, make sure to check out Philippine Airlines and be one of the first passengers on their new B777's! I never really cared about the plane I'm in either, but after reading this post, I think I just changed my mind LOL! 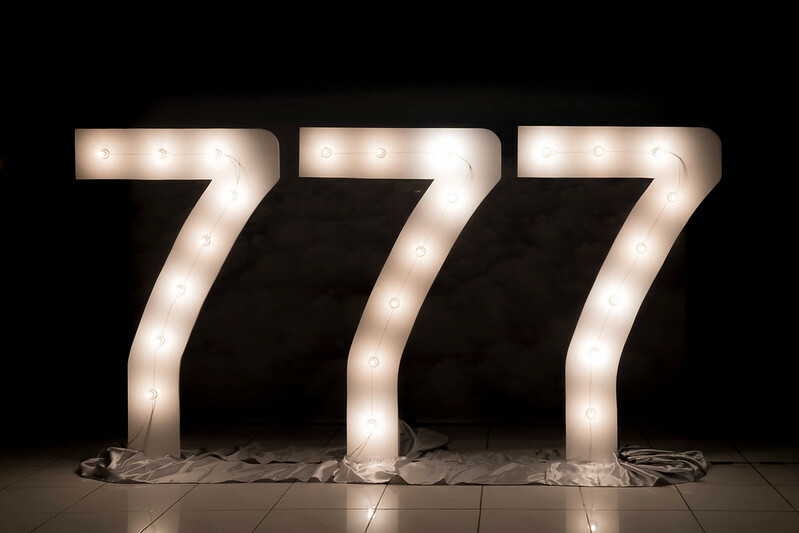 I'll be on the lookout for the new Boeing 777! Wide leg room!!! I used to ignore this but long flights require this!